The German capital, Berlin, is one of the largest and most vibrant cities in the European Union and one of the most dynamic commercial areas. It is also a leading international center for politics, science and culture. With a population of approximately 3.6 million people from 190 countries, Berlin is located in the center of the Berlin-Brandenburg Metropolitan Region. The city is gaining importance as an economic and political center in Europe. GDP in the Berlin has increased by 18.8% since 2005 (growth in Germany as a whole is 11.6%) making the city the economic powerhouse of Europe. As a result, Berlin is the most popular choice of economic base for developing enterprises. This tendency is growing due to the effects of Brexit. 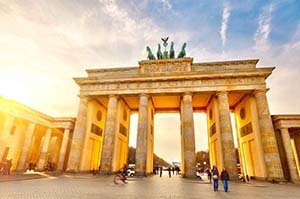 What is more, the Berlin government and many businesses are striving to make Berlin the European ‘Silicon Valley’, as well as a commercial center with strong connections to European economic entities. Government initiatives are supporting growth industries by improving infrastructure, developing the technological environment, and expanding commercial properties. As a historical capital for centuries, Berlin has witnessed the rise and fall of Prussia, the German Reich, the Weimar Republic and Nazi Germany and the separation of Germany after the second world war. No other capital has experienced so many dramatic changes as Berlin in the last century. A divided city for 28 years during the Cold War Era, Berlin was reunited after the fall of Berlin Wall and regained its status as the capital city of the Federal Republic of Germany. All of this has made Berlin a fascinating city with a unique history and vibrant culture. Each year, more than 45,000 people move to Berlin, most of them young and well-educated and over 4,000 new firms or spin-offs are launched in the city. 84% of all employed Berliners have professional qualifications and 70% of them speak one or two foreign languages. Berlin is one of the most popular tourist destinations in Europe. With its three opera houses, 150 theaters, 274 movie screens, 180 museums, 500 galleries and 3 UNESCO World Heritage Sites, Berlin is an international cultural powerhouse. The city has numerous historical landmarks, such as the Brandenburg Gate, Berliner Dom, Unter den Linden, and hundreds of galleries and bars can be found around the Hackesche Höfe， Gendarmenmarkt and Museum Island. The Berlinale International Film Festival, the annual Berlin Fashion Week, Berlin Art Week and numerous street festivals also attract countless visitors. The city is a leading educational center and is home to three internationally renowned universities (Free University, Humboldt University, Technical University, Berlin University of Arts) as well as numerous prominent research institutes. Berlin’s many cultural and sports venues host sporting and musical events promoting high standards in these fields. There are at least four Chinese weekend schools and several Berlin state schools now offer Chinese as a foreign language. Berlin is green: forests, lakes, rivers, parks, and garden plots cover 41% of the city. There are more than 2,500 public recreational and green spaces making Berlin one of the greenest and one of the most family-friendly cities in Europe. Berlin has an excellent transport infrastructure and is one of Europe’s most modern transportation hubs. With its 100-year history of underground trains, reaching destinations within the city and across Europe is quick and stress free. Berlin offers its residents a high quality of life at a reasonable price, a green environment and a rich culture, making this city a first choice for many young people and families. Copyright 2016 YLS Sherpa Real Estate GmbH. All Rights Reserved.